The new year is approaching, and we have another set of free games to try. As always, the Xbox One titles are yours to keep as long as you have an active Gold membership, while the 360 titles are yours even if you drop to Silver. Both 360 titles are available on Xbox One via backwards compatibility. 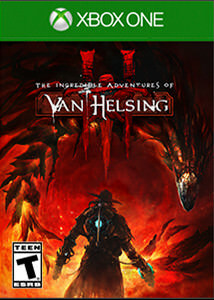 Kicking off the month for Xbox One will be The Incredible Adventures of Van Helsing III. A new title that will be free only a few days after release. 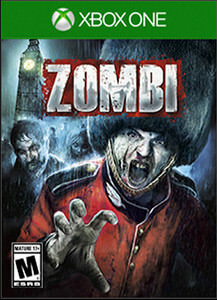 The second half of the month will have ZOMBI. This is a survival horror which originally released on the Wii U and got ported to other systems. In this final chapter of the trilogy, you’ll see Borgovia in its darkest state. The civil war may be over, but a strange cult is prophesizing the end of the world. Van Helsing will do battle against even more terrifying beasts with an expanded arsenal for six specialized character classes and a more detailed, diverse leveling system. He’s now prepared to face his archenemy in this world of squabbling factions and criminals, but he won’t be alone — Lady Katarina, his ghost companion, is still with him and her story is set to be revealed as well. For Xbox 360 the month will kick off with Tomb Raider: Underworld. 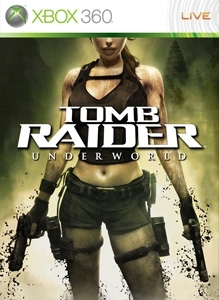 One of the older Tomb Raider titles that came out 10 years ago. 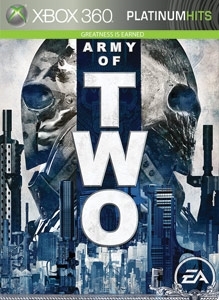 And the final game of the month will be the original Army of Two. This is a co-op focused third person shooter. Just be warned the online has been shutdown for the game and there are multiple discontinued achievements. 88/100 – GameInformer “…Underworld hits the target dead center, delivering the perfect mix of isolation and discovery with larger dramatic encounters” 85/100 – IGN UK “An incredibly enjoyable experience and a real return to captivating tomb raiding on a grand scale.” 80/100 – Edge Magazine “Underworld is that rare game that manages to provide a real adventure to go along with its action.” 80/100 – X360 Magazine UK “One of the finest adventure games you’re likely to find on the 360.” 87/100 – AtomicGamer “Lara’s latest (and best in years) adventure.” 80/100 – VideoGamer “A visually stunning, epic adventure that continues Crystal Dynamics’ excellent run.” Designed specifically to take advantage of the latest technologies Tomb Raider Underworld represents a new advancement in exploration-based gameplay. As fearless adventurer Lara Croft explore exotic locations around the world, each designed with an incredible attention to detail resulting in breathtaking high-definition visual fidelity that creates a truly believable world and delivers a new level of challenge and choice. When one man is not enough, it will take an army of two to fight through war, political turmoil and a conspiracy so vast it threatens the entire world. Since what I put in the main post isn't always read, I'll reiterate it here. The online for Army of Two has been turned off which leaves 10 achievements unobtainable. Sad face for Army of Two. When I first saw that, I got excited to play it with a friend, but I guess not. Still should be fun.